Roland’s HD-1 V-Drums Lite is a big hit with beginners around the world. 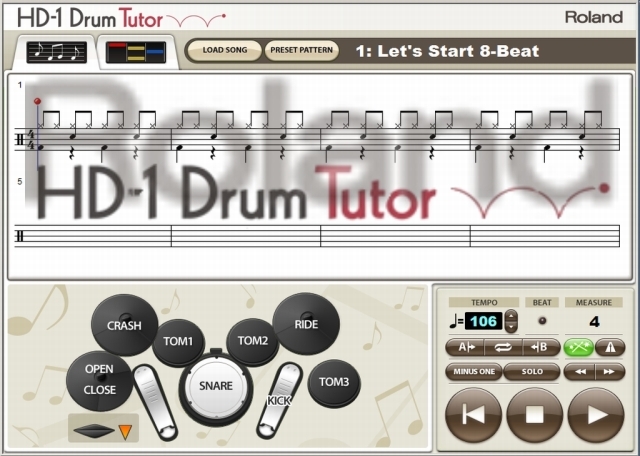 To enhance the HD-1 experience and help drummers learn the fundamentals, Roland has created DT-HD1, a fun, educational, interactive software application. Connect your HD-1 to a PC via USB, launch the software, and play along and learn.